A 21st Birthday is one of the most important milestones in anyone’s life. Turning 21 marks you as an adult. In the United States it allows you to drink, gamble and even buy a gun! Whereas some other countries it is the point where you can vote, get married, adopt a child etc. It’s often seen as officially being the end to childhood as well. So it’s a pretty big deal. Which means if you know someone about to reach that age then you will want your 21st birthday wishes to be extra special. But don’t worry – whilst knowing what to write in a 21st Birthday card can be tricky it doesn’t have to be. You can let them know how much they’ve grown, how proud you are of them, or just congratulate them on what is a major landmark in their lives. 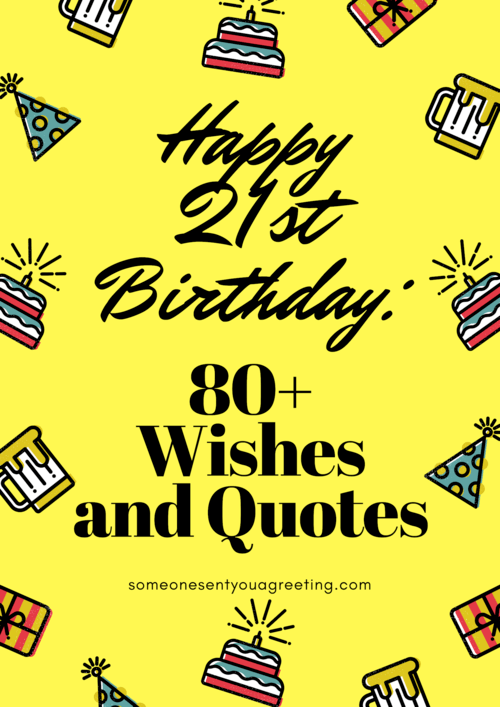 So use the wording ideas below to give you some inspiration for writing your own message or just copy your favourite and say Happy 21st Birthday in the best way possible. Best wishes on your 21st birthday! Here’s to many more! 21 may not feel young but enjoy it while it lasts! You’ll be 30 in no time and then it really gets rough! You might prefer to use an insightful or wise quote from someone famous regarding turning 21. As a 21st birthday is such a big event it means there are lots of jokes you can make regarding it. And what better time for laugher and fun than on a birthday? So try one of these funny wishes and add some hilarity to the day. To the most amazing, funny and good looking person I know.. besides myself! Happy 21st Birthday! 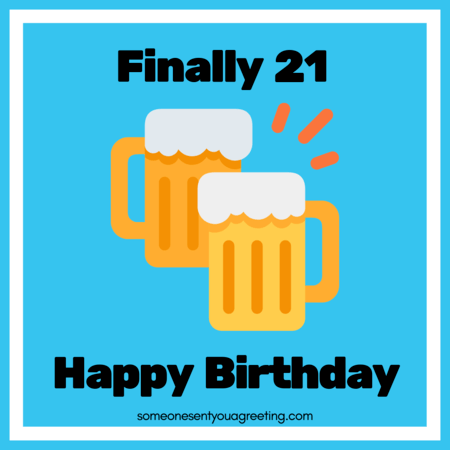 21 is the perfect age – all the fun and just a taste of responsibility! I’d be lying if I said wasn’t jealous! Enjoy it while it lasts! Happy Birthday! Happy Birthday! Although by the time you get this maybe I should be wishing you a happy hangover! Now you’re 21 you can enjoy your “first” drink. Don’t overdo it though! Just because it’s legal now doesn’t mean it’s a good idea. Happy 21st! Remember, you don’t have to grow up – you just need to learn how to behave in public. Happy 21st Birthday! You’re already halfway to 42. If that’s not enough to make you drink, I don’t know what is! 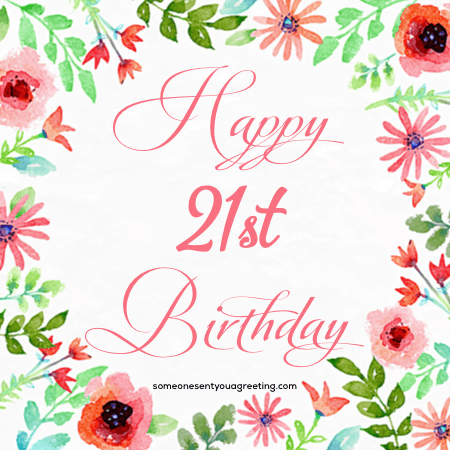 Wish your daughter an amazing 21st birthday and let her know how special she is to you with one of these messages. Let your son know how proud you are of him as he turns 21 and becomes a man. To my son who brings joy and laugher the lives of your family. May your special day be filled with joy and happiness. Happy 21st Birthday! The greatest joy of life has been watching you grow, learn and become the wonderful person that you are today. Happy 21st Birthday! 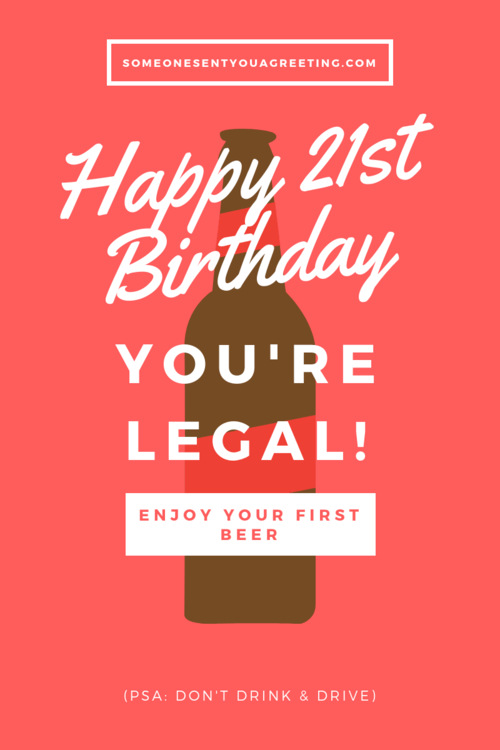 Congratulate a sister on turning 21 with these loving birthday wishes. 21 Happy Birthday hugs to my big sister. You’re getting old! Use these 21st birthday messages for a brother to show just how important he is in your life. Happy 21st Birthday bro! Don’t party too hard! I was going to write you a touching message saying how amazing a brother you are.. but then I just decided to buy you a beer instead. Happy 21st Birthday, bro! Happy 21st big bro. I’m going to keep reminding you that you’re older than me! I’ll be raising my glass to my wonderful brother who turns 21 today! Cheers to you and Happy Birthday! I saying – you only turn 21 once, go mad!